Home » Bollywood News » Rajinikanth's Kabali Telugu rights earn producers Rs 32 crore! Rajinikanth's Kabali Telugu rights earn producers Rs 32 crore! Kalaipuli S Thanu, producer of Kabali is yet to take an official announcement on the release date of the film, but it seems like the film has already started making money for him. Touted as one of the most-awaited films of the year, Kabali stars Thalaiva Rajinikanth in the role of an ageing don. 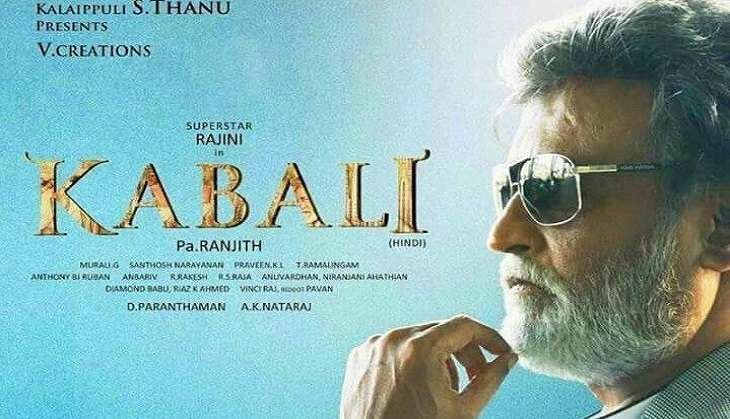 The film is generating immense interest for trade and the Telugu dubbed version of Kabali is earning many seekers. Reportedly, Praveen and KP Chowdhary of Shanmukha Films , the leading distributors in the Tollywood industry have bagged the rights of Kabali for a record price of Rs. 32 core. The distributors - turned - producers are releasing 'Kabali' across the cinemas of Andhra Pradesh and Telangana. Meanwhile, the music launch of Kabali, which was earlier scheduled to release on 12 June has been scrapped due to the unavailability of Thalaiva Rajinikanth, who is currently holidaying at the United States.